The full programme of weekend cruises is now available and this season, we hope to visit destinations we have not sailed to for some time: Kames/Tighnabruaich, Troon, Lamlash Bay, LochGoilhead, Rhu, Carradale.... or others you might think of. Happy Sailing everyone! The first cruise in company is over the early May bank holiday, to Holy Loch. For more details, see http://www.largssc.co.uk/node/517. Information and Enrolment evening - Thursday 28th March 2019 - registration from 6.00 pm - Presentation at 7.00. 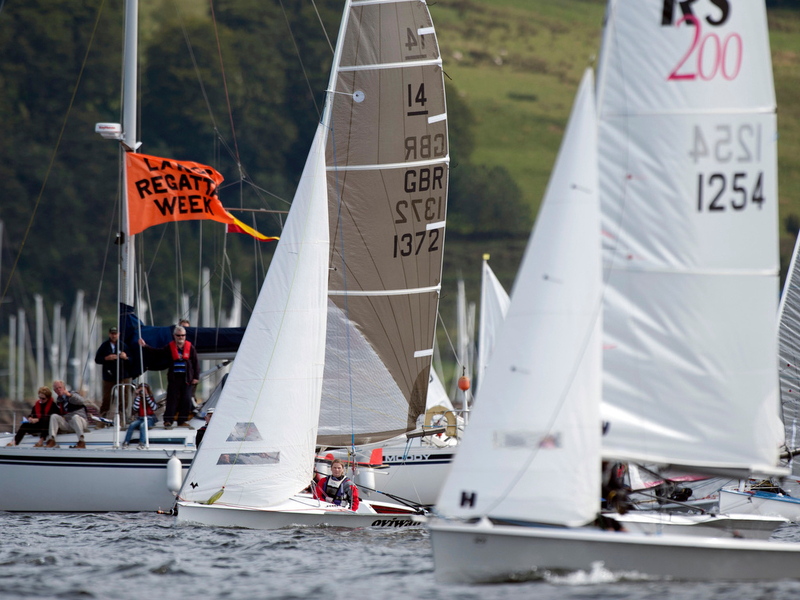 It’s also the Moth’s and Cat’s Scottish Championship - should make for a great weekend - even maybe a few Musto Skiffs trying out things before their UK Championships! Important news on club catering, with the appointment of Bosuns Table as our catering provider; then afloat, updates on our young sailors at the RYAS Spring Championships, our frostbite series, and cruising group activities. Also look forward to our major sailing events this summer. Ashore, the April quiz has been rescheduled to Friday 19th April because of the Largs-Skelmorlie road closures. Click on the attached pdf file to read much more! February cruising group winter talks - liferaft demo! 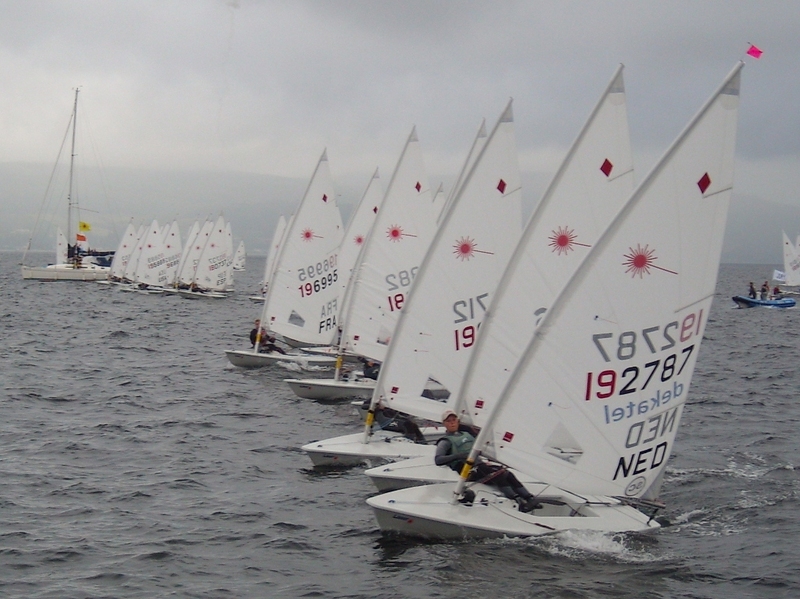 We have a very busy year ahead with 120+ Lasers, and 190+ Toppers late July and early August, then Largs Regatta Weekend at the end of August, followed by the Musto Skiffs UK Nationals early September with another 50/60 yachts. See the Events page for more detail. 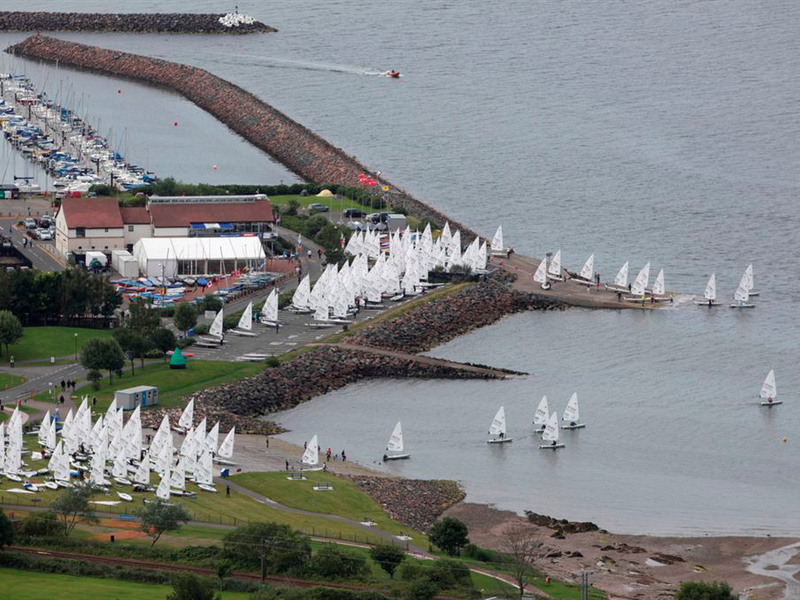 An updated accommodation list has been posted to allow competitors start planning their visit to Largs. 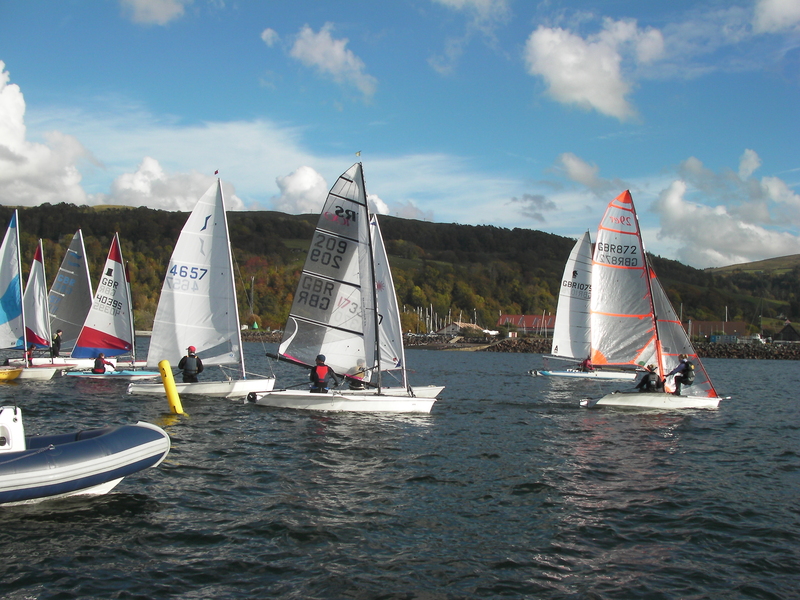 Largs Sailing Club was founded in 1936, and is now based in a modern clubhouse in Largs Yacht Haven, just to the south of Largs town centre. The Club organises a range of activities for all ages and abilities, from the teaching of beginners by the LSTA to hosting large national and world championship events. 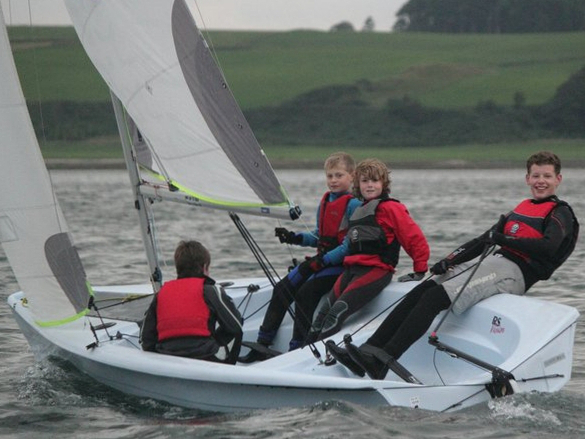 We also run regular racing for dinghies and keelboats. Our active cruising section (sail and power) organises cruises in company around the Clyde and the west of Scotland, and holds regular talks and skills workshops. Throughout the year, we hold quiz nights, talks with guest speakers, and themed evenings including dances and parties. Our waterfront location gives us the best view in the marina, as can be seen from the LSC WebCam. Our Lookout Lounge has a well-stocked bar and good bar food at reasonable prices, making it a welcoming port of call for members and guests. Rooms in our clubhouse are available to hire for any occasion - business meetings, charity lunches, birthday parties, weddings, sail training, art exhibits etc., and are complete with wireless internet and AV equipment. Our fully licensed bar and catering facilities can meet your most exacting requirements. The coffee vending machine will be accessible at all times along with a kettle and selection of snacks. An honesty box will be provided! Easter Weekend - Easter Sunday and Easter Monday - kitchen open from 0900 for rolls, wraps, fresh soup and other goodies, so why not pop along and enjoy the view and some lunch in the clubhouse. On Sunday there will be Easter activities for kids along with the usual club racing. Please keep an eye on club emails, our Facebook and website for details! Important news on club catering, with the appointment of Bosuns Table as our catering provider; then afloat, updates on our young sailors at the RYAS Spring Championships, our frostbite series, and cruising group activities. Also look forward to our major sailing events this summer. Ashore, the April quiz has been rescheduled to 19th April because of the Largs-Skelmorlie road closures. Click on the download button to read much more! If you want some Largs Sailing Club branded clothing then you can now choose from a wide range of items supplied by World Leisurewear. Click below to find out more. A weekend of great racing for four classes.